Over the past 16 years, we have delivered dynamic, interactive seminars and webinars to thousands of working parents across the UK. We understand the challenges parents/carers face in balancing work and family life and also appreciate that time is very limited. We aim to provide practical, realistic advice in a succinct manner giving parents the skills to make life at home less stressful. More focused, productive, fulfilled and motivated staff, resulting in improved employee retention. A valuable opportunity to show genuine concern, interest and empathy with working parents. Sending a clear signal that you take their work-life balance seriously. Enhanced image as an ‘Employer of Choice’ and increased employee retention. Seminars/webinars held at a time and place convenient to you with minimal encroachment on work time and at negligible expense. An opportunity for all employees at whatever stage in their career to network and share experiences with their colleagues. Everyone is on the same level as parents. A wealth of practical advice, experience and information from expert teachers and parents. Improves work-life balance enabling parents to maximize the time they spend with their children at home and ensure it is ‘quality time’ with less conflict. Promotes ongoing informal networking, sharing ideas and support for parents in the workplace. Reduces stress and feelings of guilt about time spent away from home. 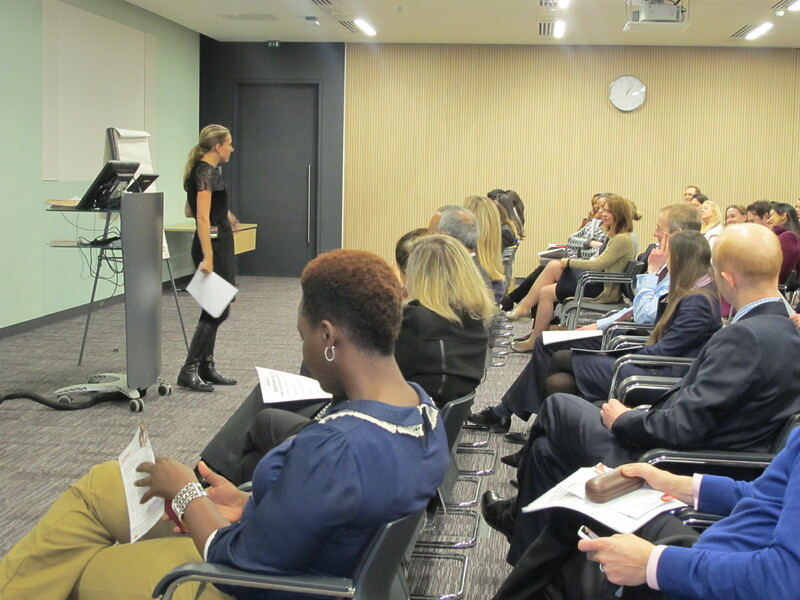 Seminars tailor made to meet the needs of busy, bright parents in high-powered and stressful jobs. We are totally flexible and happy to tailor make sessions to suit your specific needs. Seminars/webinars are typically 60 minutes over lunchtime but they can also be scheduled at any time of day and for more extended periods of 90 or 120 minutes. They are equally applicable to men and women, parents or carers and all members of staff at any level in the organisation. We liaise with the requirements of human resources, diversity teams and family networks to help and advise on which areas to focus according to the specific needs of your employees. Advice on sharing books with young children and preparing them for learning to read at school. This seminar offers practical activities and techniques. Explores how children learn to read and provides extensive guidance on the “do’s” and “don’ts” when listening to your child read. It also covers tips for selecting books and recommended booklists. Guidance for parents to motivate their children to read and strategies for keeping committed readers hooked on books. It also covers discussing fiction and understanding non-fiction texts. Supporting children with all aspects of writing: handwriting, spelling, grammar and composition. Practical tips and activities. How parents can provide effective support, using practical activities to develop numeracy skills. It also covers how maths is taught in school as methods have changed considerably. Guidance and tips on how to establish solid homework routines and how to get children to do their homework willingly and independently, setting a foundation for good study habits. Two separate seminars looking at the options available, factors to consider and key questions to ask when selecting a school. Includes advice on the application procedure and how to prepare your child for the transition to each new stage. Understanding the role that parents can play in supporting their children through exams, offering guidance and practical tips on establishing a revision routine and key revision and exam techniques. A practical session exploring how parents can help their children manage technology and the risks involved in being online – setting boundaries and protecting your child. What it means to be ‘smart’ or ‘clever’. What can parents do to support their children’s learning whilst building confidence, motivation and independence so that children are well placed to become ‘smart’. What kind of father do you want to be? Differences in the relationship between fathers and sons versus fathers and daughters. Finally it covers some core parenting skills that really enable dads to get the best out of their relationship with their children. The teenage years can be a challenging time for many parents. How parents can communicate effectively with teens to really stay connected, have a close relationship and at the same time make boundaries work. Preparing our children to be tolerant of others and happy and at home in our world is one of the greatest gifts a parent can give. This seminar will give parents the skills to help their children not only understand, but respect and enjoy the many cultures and experiences our world has to offer. 3 different seminars to support parents/carers of children with ‘Special Needs’. What are the common signs? Practical ways to help children be more successful at school and at home. Advocating for you child and coping mechanisms. Tailor made seminars/webinars can be developed on any education or parenting related topic to suit the specific requirements of your employees. This provides working parents with the opportunity to have one-to-one confidential time with an ‘expert’ to address any issues or concerns about their child. Parents submit their questions in advance and have 25-30 minute slots either onsite or over the phone. This offering is extremely popular and slots are usually filled within a few hours.